Planning a wedding in Cumbria? Then look no further! North East Wedding Band Funk Conspiracy are here to tell you all about the beautiful county of Cumbria in North West England. Ease some of your wedding woes by using this page as a guide to Cumbria’s finest wedding venues, hotels, restaurants and top visitor attractions. Book Funk Conspiracy as your Cumbria wedding band, we provide a professional service and create a fantastic atmosphere that your guests will relish and will turn your special day into a dream come true. Now relax and use our definitive and eclectic Cumbrian wedding guide to ensure everything falls into place…. Besides the picturesque landscape there are many interesting and quaint attractions for visitors to the area. 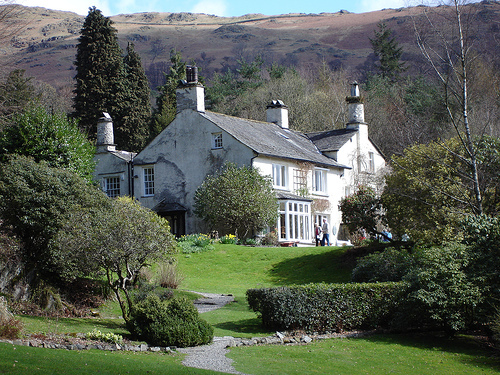 You could visit the National Trust preserved Beatrix Potter Gallery and see orginal artwork from the Peter Rabbit children's books, or take a boat ride on the scenic Lake Windermere. If steam railways appeal to you then try the Ravenglass and Eskdale Railway, an unforgettable ride by narrow guage trains from the Lake District's coast to it's highest mountain. 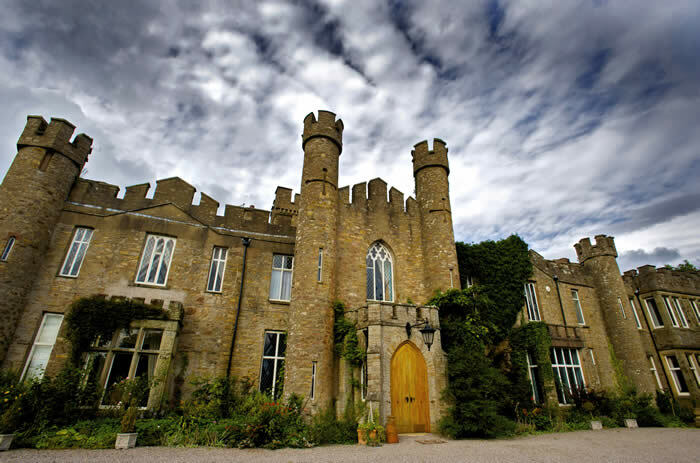 Fancy getting married in a Castle? Then book Augill Castle - the Cumbria wedding venue with a difference. Full of grandeur but also intimacy, Augill Castle is a complete package where the Castle is exclusively yours for your special day. Hold your ceremony in the music room complete with grand piano, where North East Wedding Band Funk Conspiracy have played themselves, creating a truly exceptional atmosphere. Dine in the extraordinary dining room with eighteen foot oak tables, and walk down sweeping staircases lit by stained glass windows. Situated within fifteen acres of grounds featuring wrought iron gazebos, Augill Castle offers a stunning wedding location with the castle as your backdrop. Hold your wedding in the Lake District’s most romantic wedding venue, Linthwaite House Hotel. Nestled in a sublime hilltop location overlooking Lake Windermere, and the winner of many awards, Linthwaite also boasts secluded gardens and magical tarns. Linthwaite can accommodate up to 60 guests in the luxurious hotel rooms, and even has a special Bridal room in the Loft Suite – what better way to spend your final night as a single woman? Try a completely unique option and hold your Ceremony in the Coppermines Cottages. There are magnificent views of the Coniston Mountains and waters in the valley and interlocking cottages can accommodate up to 30 guests. Marquees can also be erected in the grounds making this a truly beautiful wedding venue. 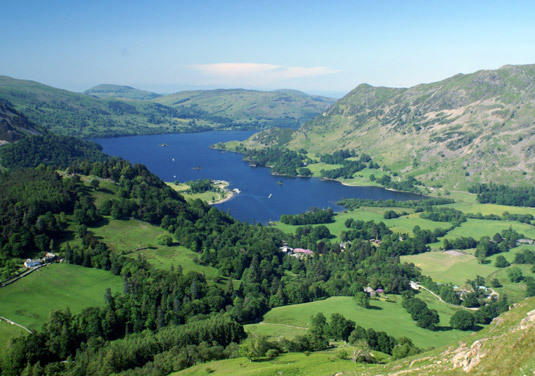 Rydal Mount is in the heart of the Lake District, with glorious views of Lake Windermere, Rydal Water and the surrounding fells. Poet William Wordsworth's best loved home, Rydal Mount is an iconic place to hold your wedding as it was here that he wrote many of his poems, one of which was his most famous, 'Daffodils'. Beautiful landscaped gardens overlooking Lake Windermere and beyond offer you and your guests a perfect place to relax and enjoy this historic gem. The Drunken Duck Inn is a Gastropub in the heart of the Lake District, in the hills near Ambleside. They have an adventurous menu, an on site brewery and a seperate menu just for British and Irish cheese. Holbeck Ghyll is a Michelin starred restaurant and having retained it for 10 years, is recognised as one of the best restaurants in the country. With quality ingredients, skill and creativity shown in preparation, Holbeck Ghyll offers sublime food whilst boasting stunning views of Lake Windermere from their Restaurant Rooms. Combine this with luxurious hotel suites and fabulous weddings, Holbeck Ghyll Country House Hotel is an ideal wedding delight. Gilpin Lodge is a luxury restaurant and hotel. Some of the rooms even have outside hot tubs. They don't allow wedding receptions in the hotel but you could stay there for your honeymoon. Stay in one of the lake house suites and there is also a spa available for your use. If you fancy a more casual evening dinner, try Lucy’s on a Plate, a café by day and restaurant by night! Lucy’s emits a non-pretentious feel the minute you walk through the door. Scrubbed pine tables, chapel chairs, cosy fire and the walled garden all compliment the atmosphere here, and after 6pm the evening menu is freshly typed up every day, so no two days are the same! The Funk Conspiracy Cumbria wedding guide was written by Navella Caretto and Richard Owen.